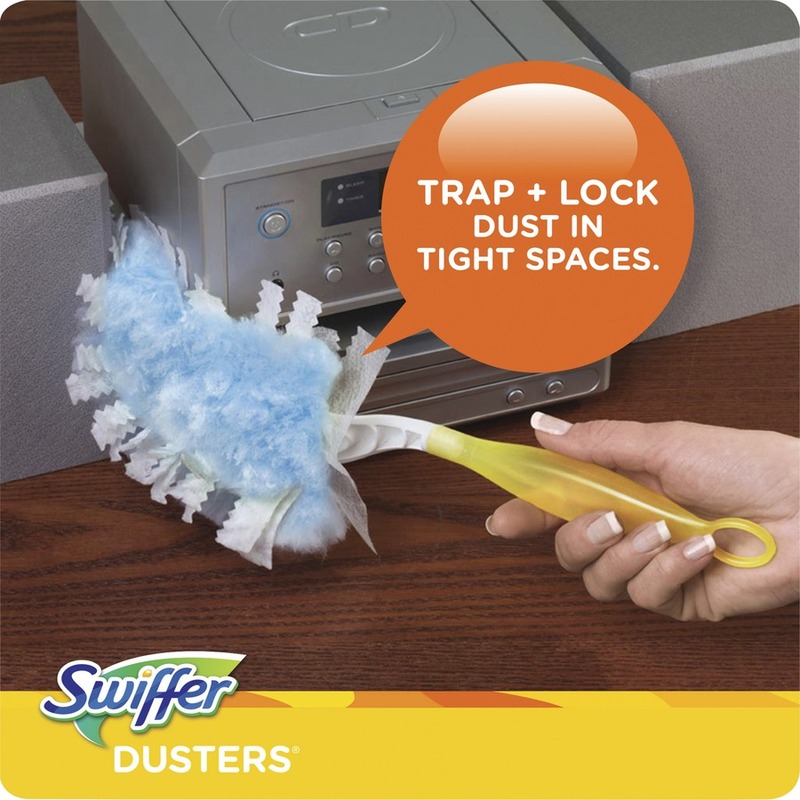 Swiffer Duster offers the trapping power of Swiffer in a fluffy, go-anywhere form. 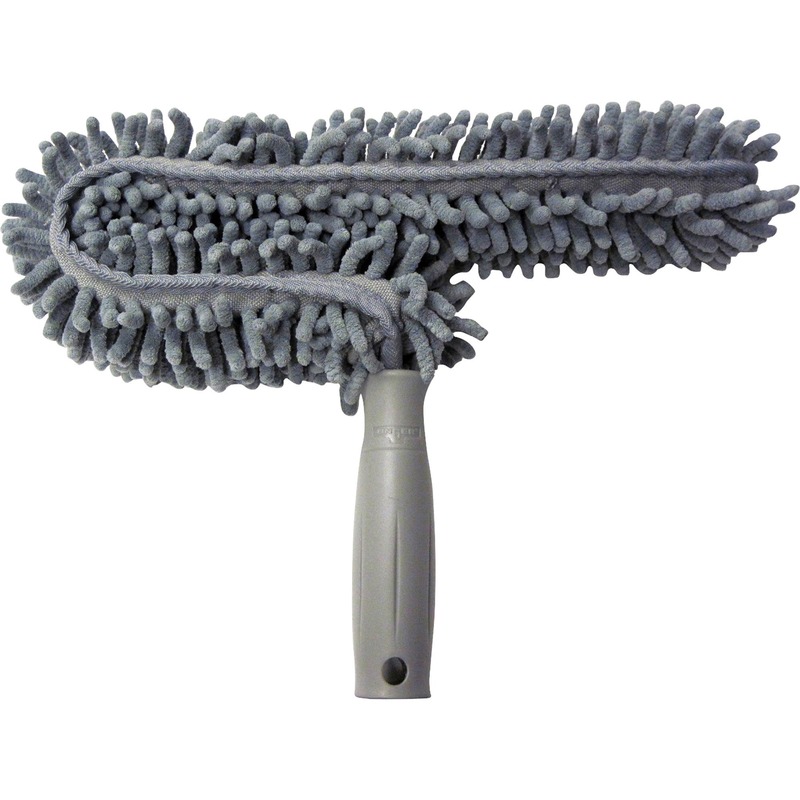 Unscented duster uses thousands of soft, fluffy fibers that can change shape to fit wherever they must go. 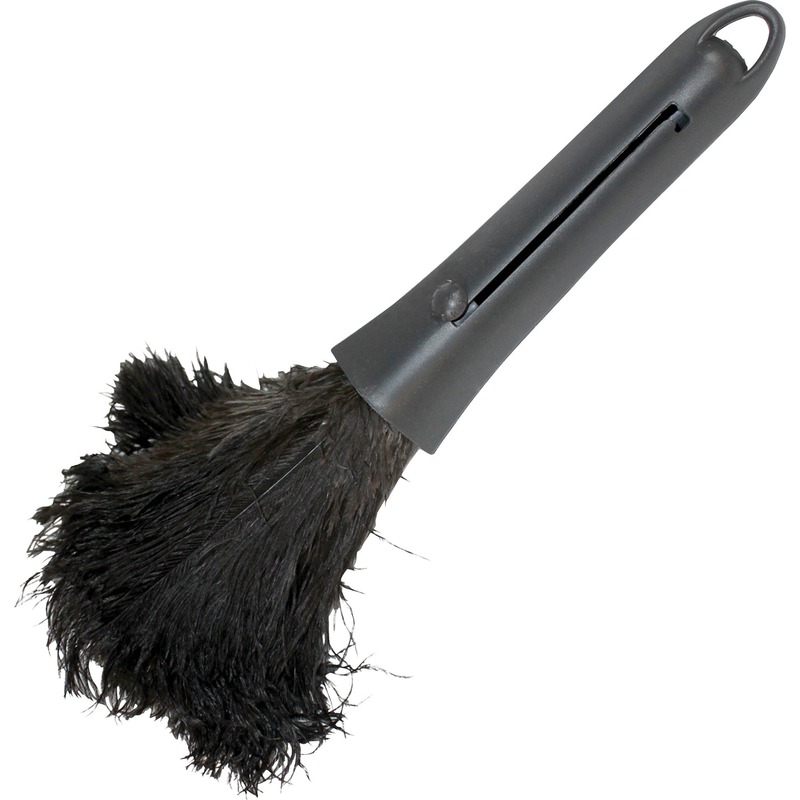 They trap and lock twice the dust and allergens than a feather duster on virtually any surface for a great clean. 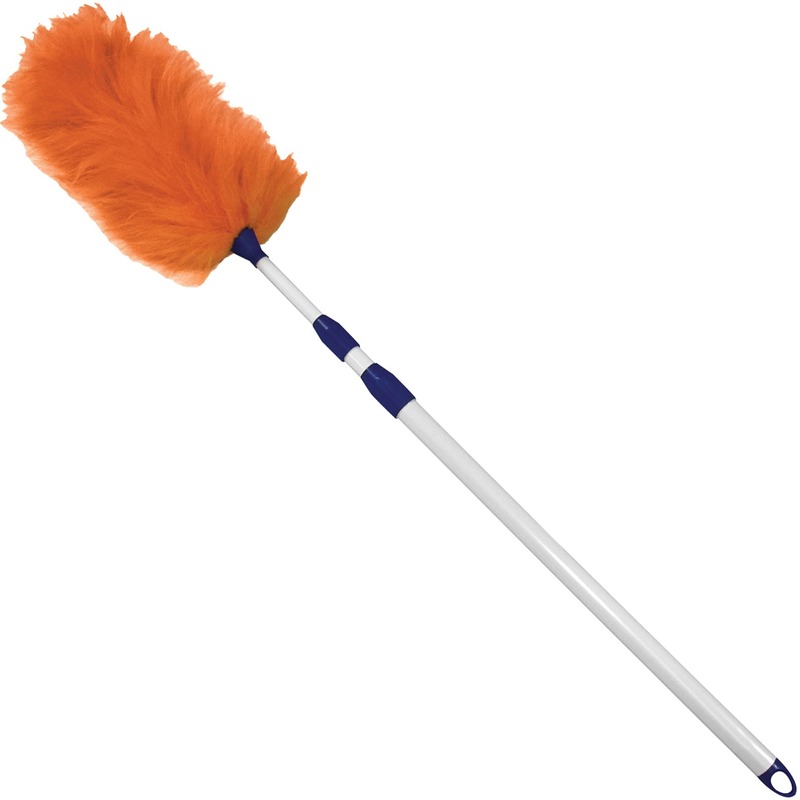 Ergonomic handle allows you to get to where your hand can't reach. 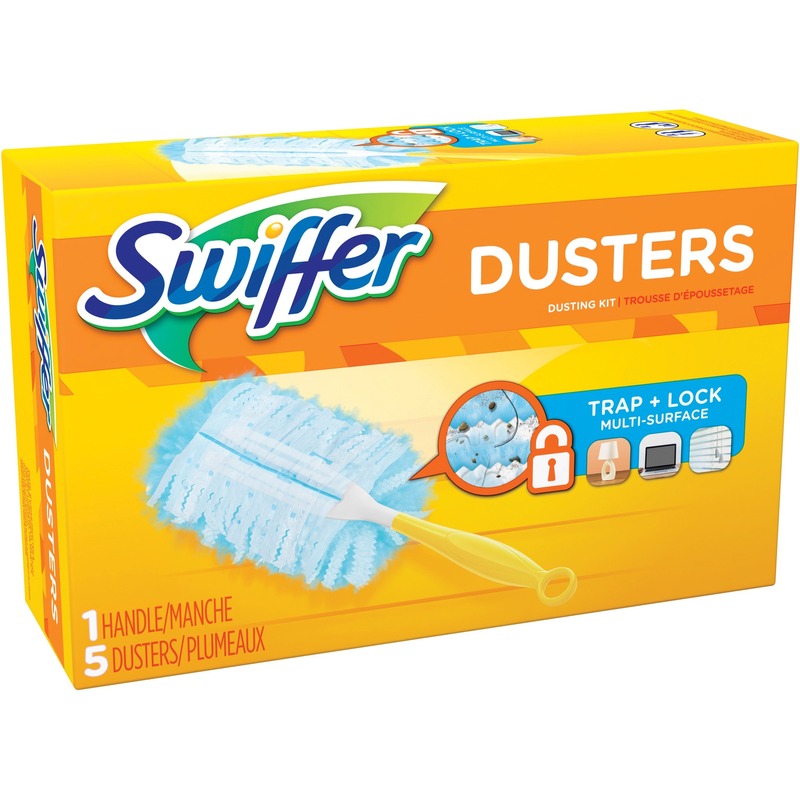 When you're finished cleaning, simply toss the duster and the dust into the garbage. 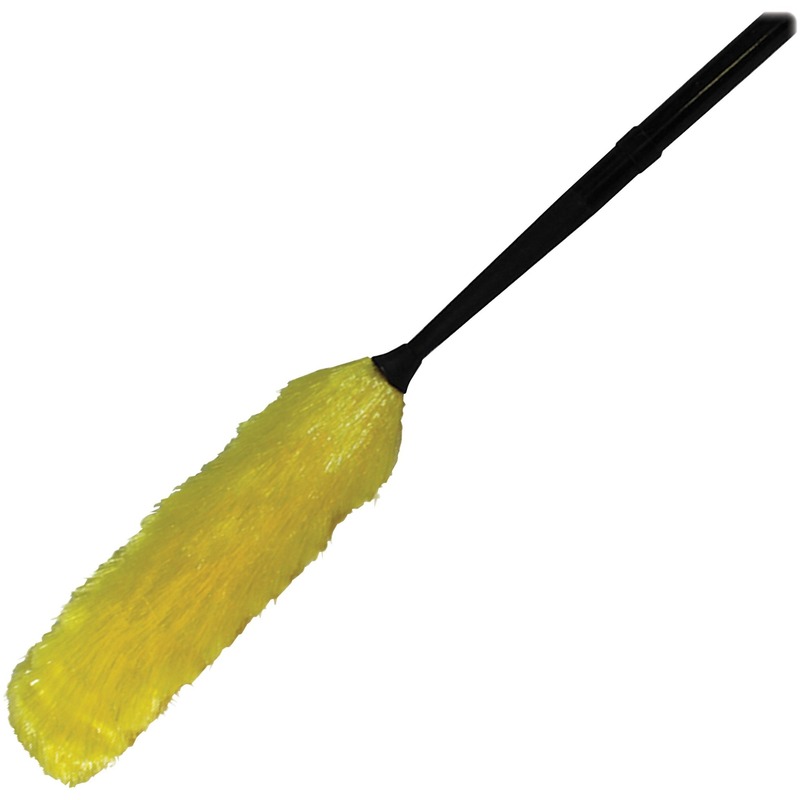 It is safe for wood, ceramic, vinyl tile, electronics and other hard surfaces. 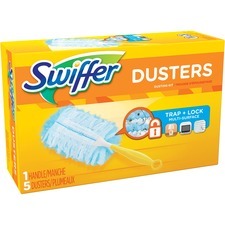 Starter kit includes one handle and five duster refills.